This is an update to an earlier blog. If you’d like to learn a little more about DKS (and read about the unfortunate T I’m about to reference), please check out my earlier blog HERE. Although I knew it was coming, it still stinks. I arrived home from work yesterday to discover that my A. insubtilis juvenile had succumbed to whatever had caused its DKS. It was a little over a week since it had first showed signs of the discombobulation and lack of coordination that characterize this malady. 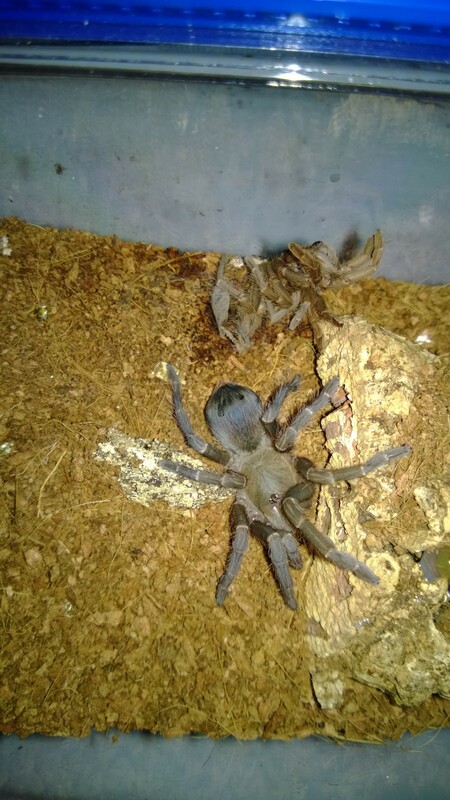 My A. insubtilis tarantula after succumbing to DKS. 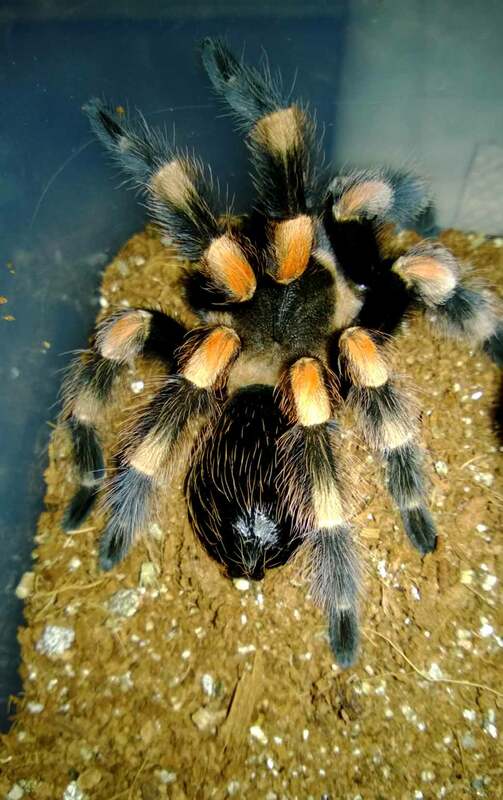 It’s been flipped on its back, but this is the standard tarantula “death curl”. Despite being kept in an ICU for the last few days of its life, it was not able to pull through. I will be heading over to Arachnoboards later this week to fill out a death report. As the true cause of the DKS symptoms are still a mystery and could be attributed to many factors, T keepers are encouraged to add details from their cases to a data base on the board. With any luck, this will be be my first and last experience with DKS. 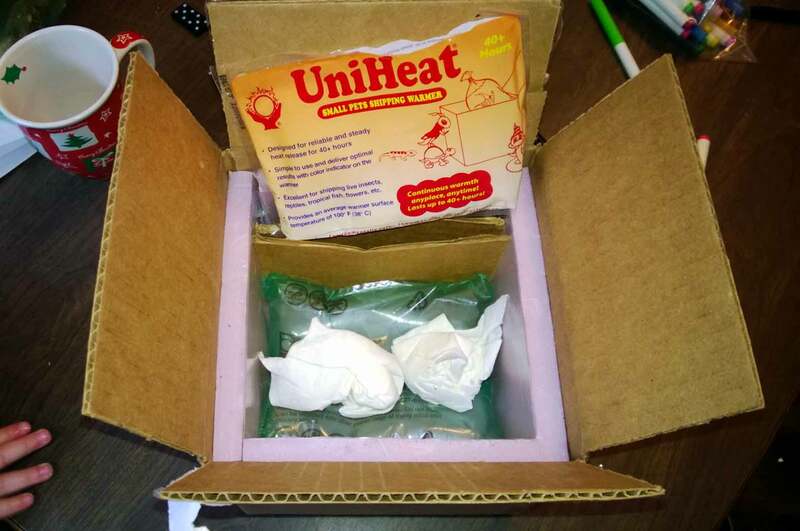 It’s a very unpleasant experience to watch one or your pets die from it. Mama’s Got a New Fuzzy Suit! 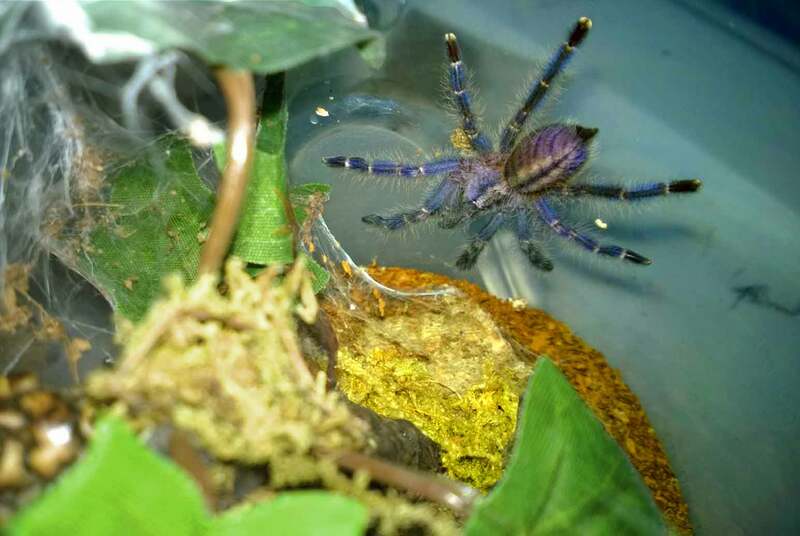 First off, if you haven’t read my earlier post about my L. parahybana female entering premolt, then you may want to check this out. 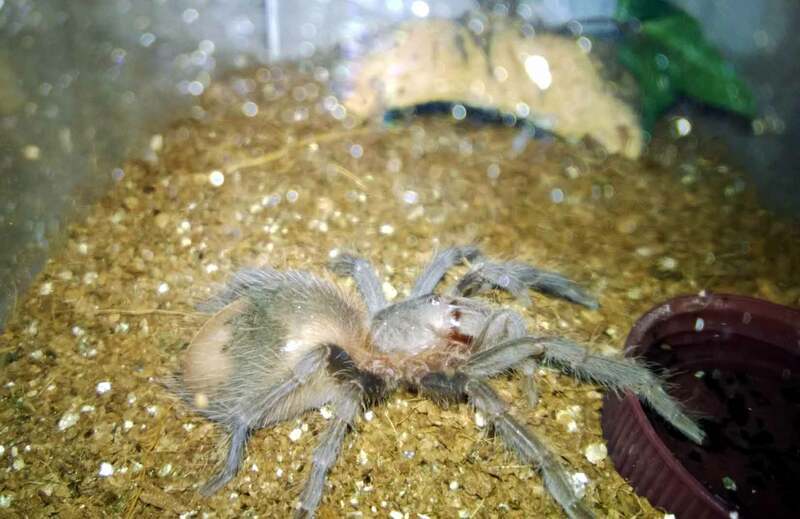 I’ve been watching this young lady like a hawk since she went dark, and I was hoping that I could get a good photo of her freshly molted. 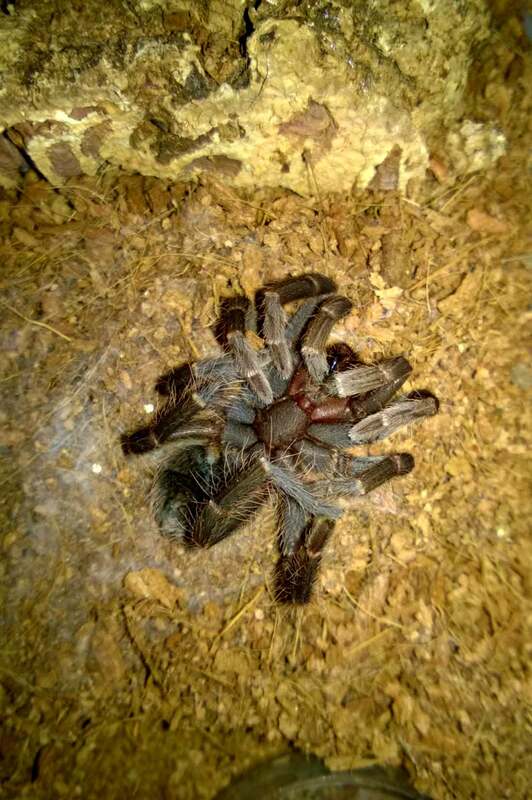 Well, as luck would have it, I actually caught her laying down a molting mat before flipping over on her back. 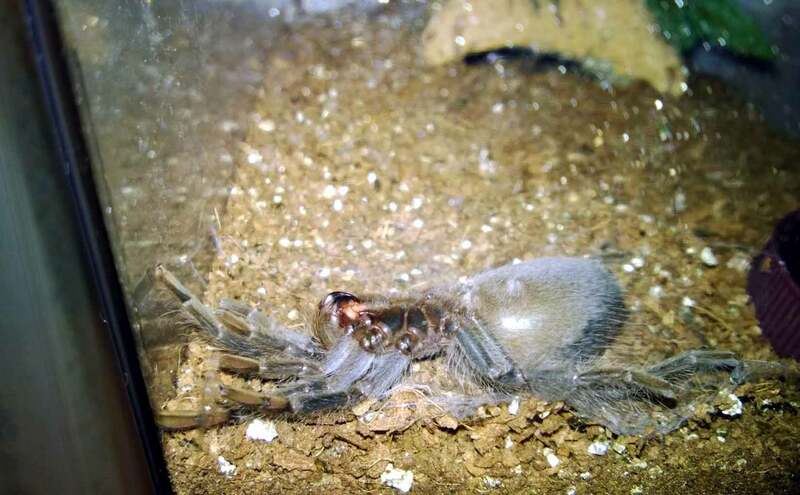 A few hours later, she was standing next to her discarded molt sporting a new skin suit with darker colors. 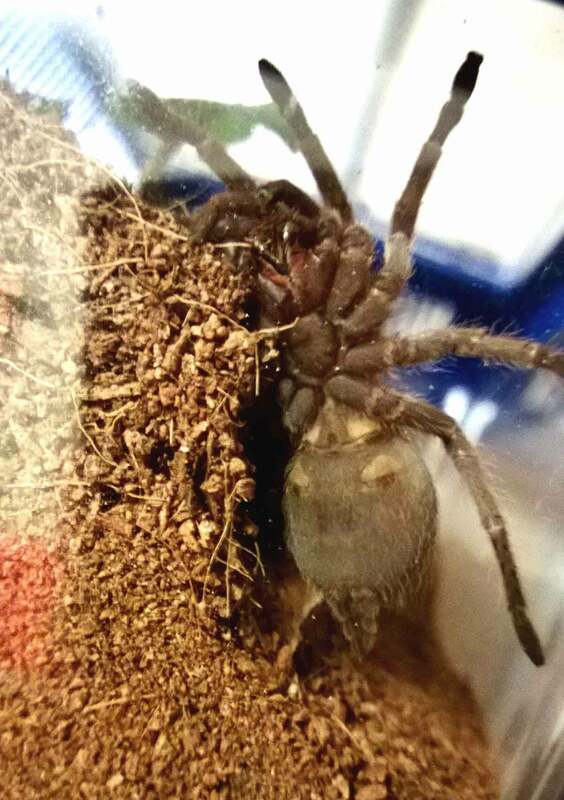 Besides her new colors (you can now see the salmon hairs that give this little beauty her common name) my little lady picked up about .5/.75″ of length. I will now spend the next few weeks fattening her back up. 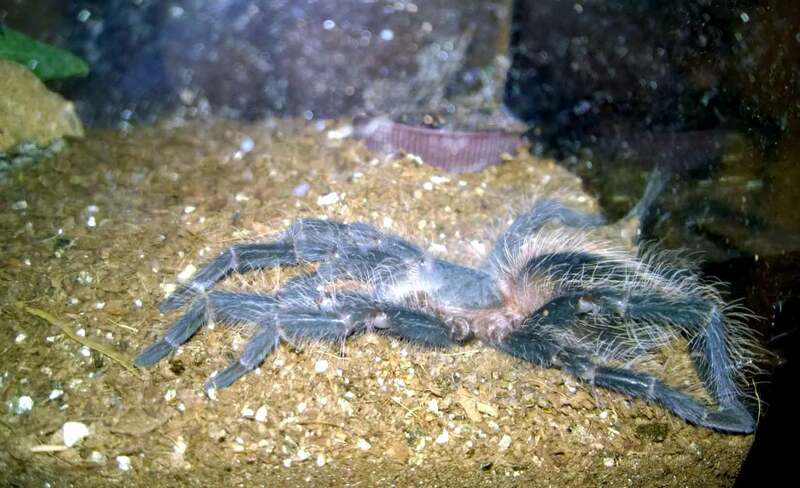 My 3″ LP female before a molt. 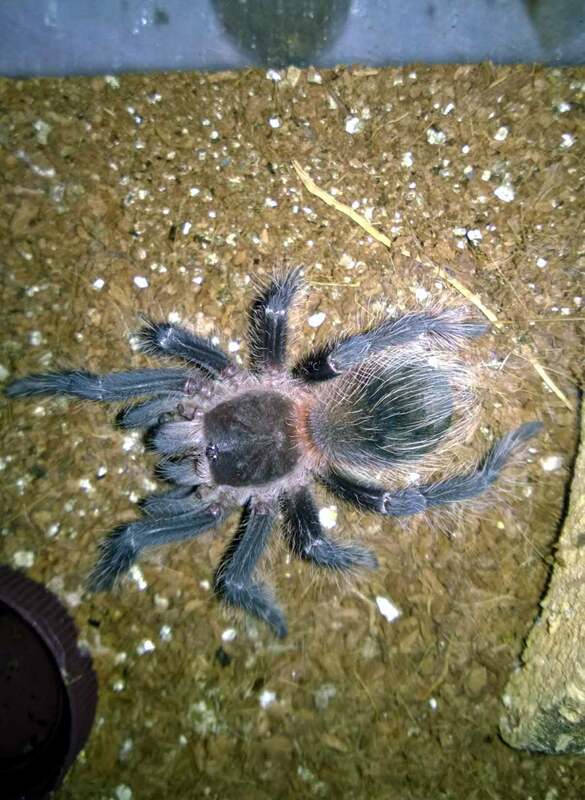 I was lucky enough to catch my female LP as it flipped on its back for a molt. 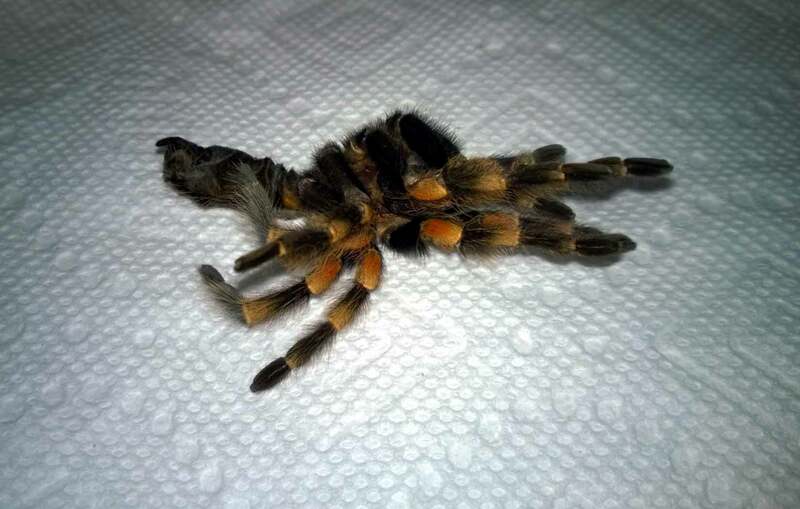 My female LP an hour or so after she completed her molt. 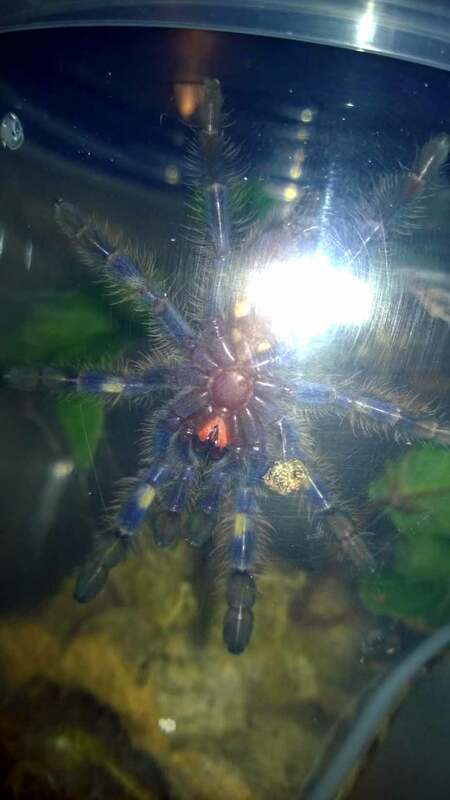 Notice the bluish color of her new and not-quite-hardened exoskeleton. 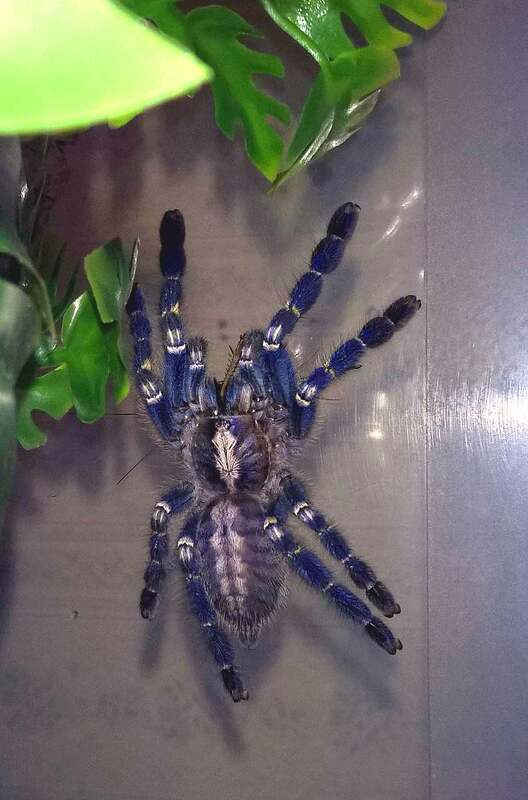 My female LP stretching out in her new exoskeleton. 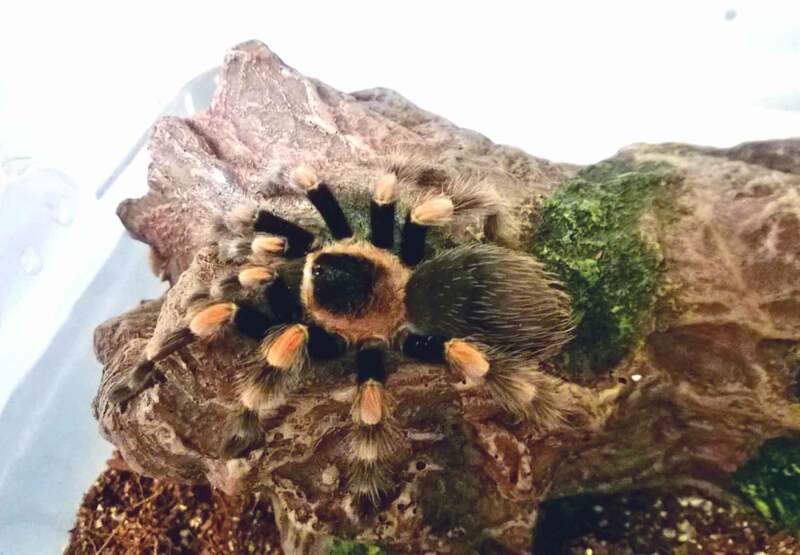 This is easily one of my favorite species of tarantula, and every molt is just a thrill. I’ll be looking very forward to watching her grow into the 8″ to 9″ beast she’ll eventually become. 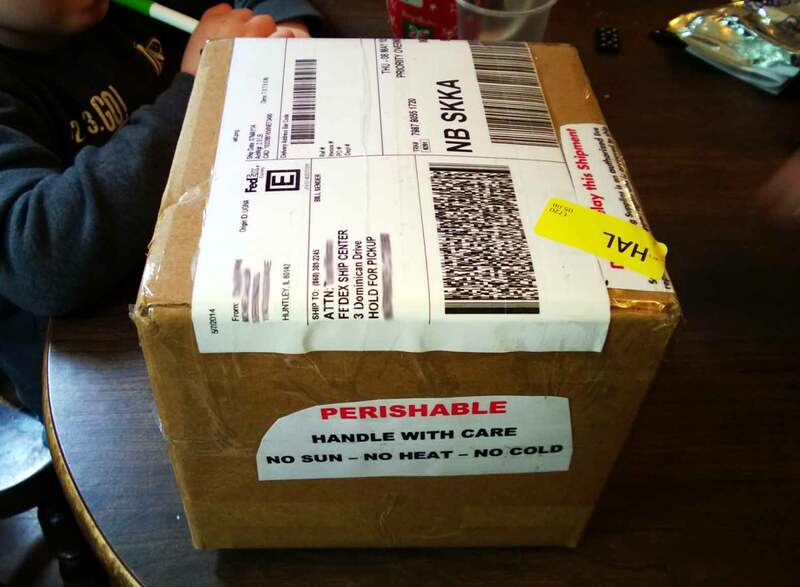 Box of Roaches … A Review of Jeremy Stichler! 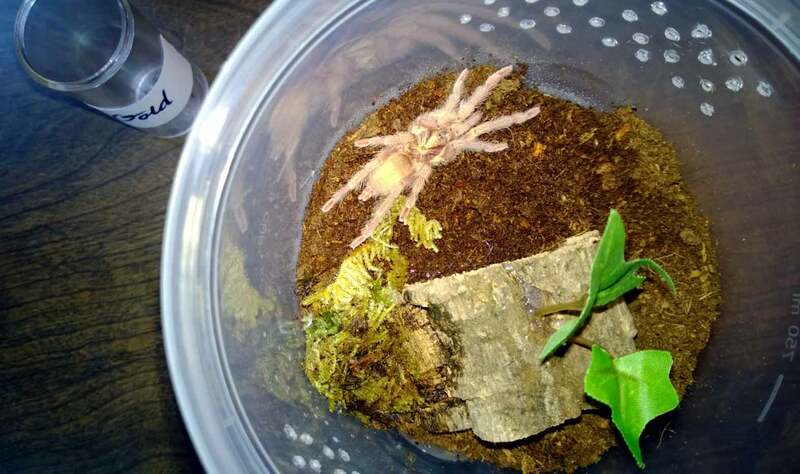 Having amassed a collection of 47 tarantulas and counting that now includes many larger spiders, I was finding it more difficult to keep adequate food supplies handy. Although I’ve used mainly crickets for prey, I also keep a small quantity of Blaptica dubia and Blatta lateralis roaches. 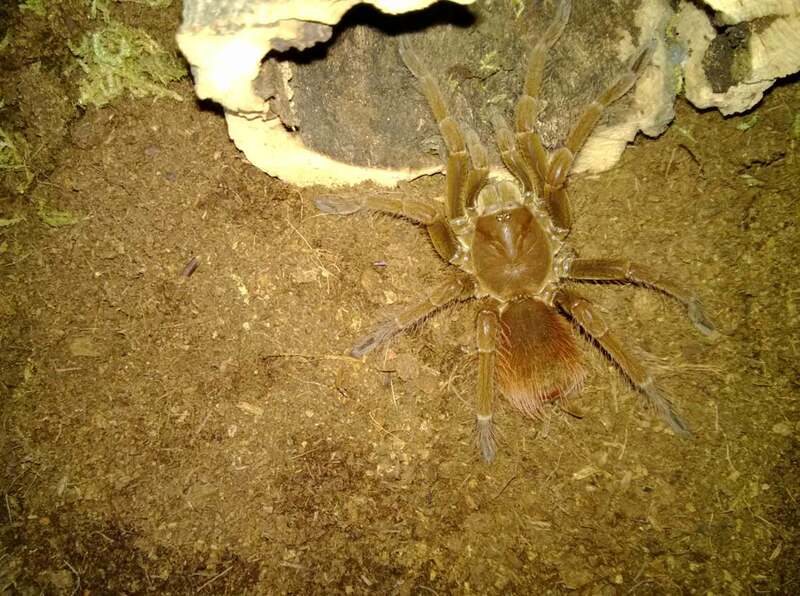 Having found that the dubias were easier to maintain and relatively odorless, I started keeping a lookout for a fairly priced starter colony. 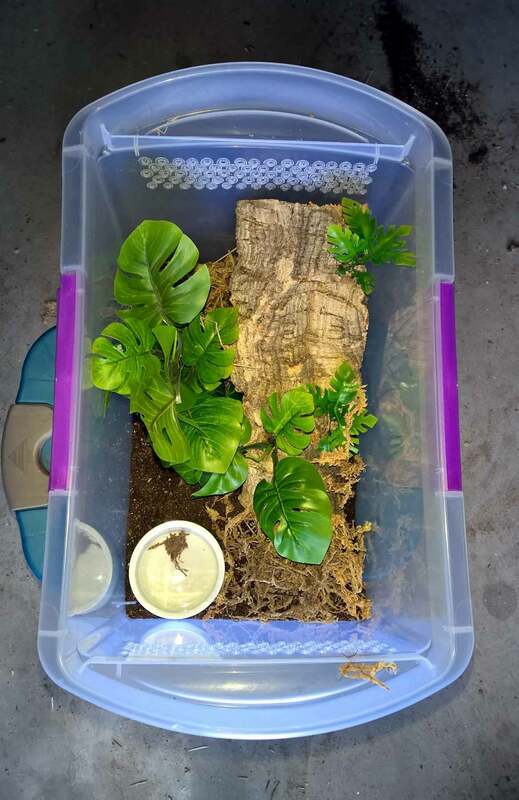 While perusing the for sale page on Arachnoboards, I stumbled on an ad for 125 count starter colony of large Blaptica dubia for only $27 shipped. 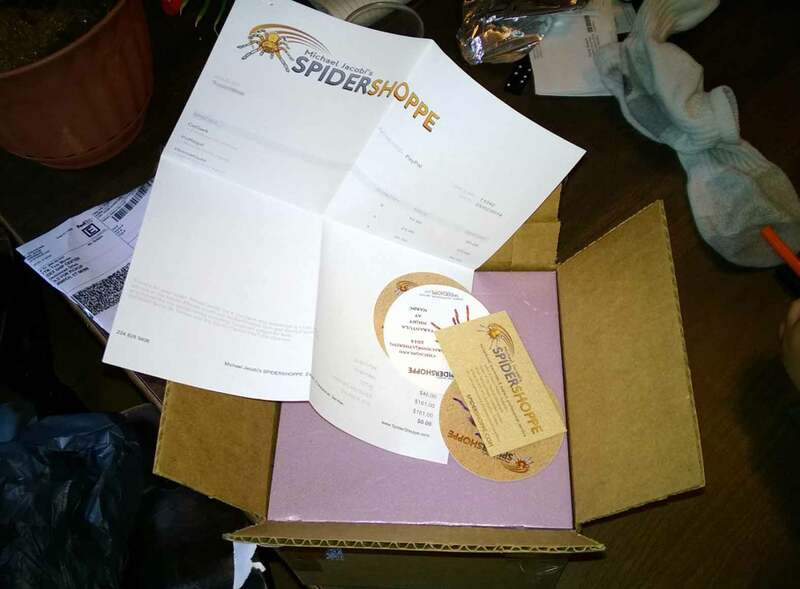 The vendor was Jeremy Stichler (Jerm357) who had several pages of sparkling reviews on the boards. Having priced out starter colonies before, I was expecting to pay much more for this many roaches (and that was not counting the 10% overcount he offered on top of it). 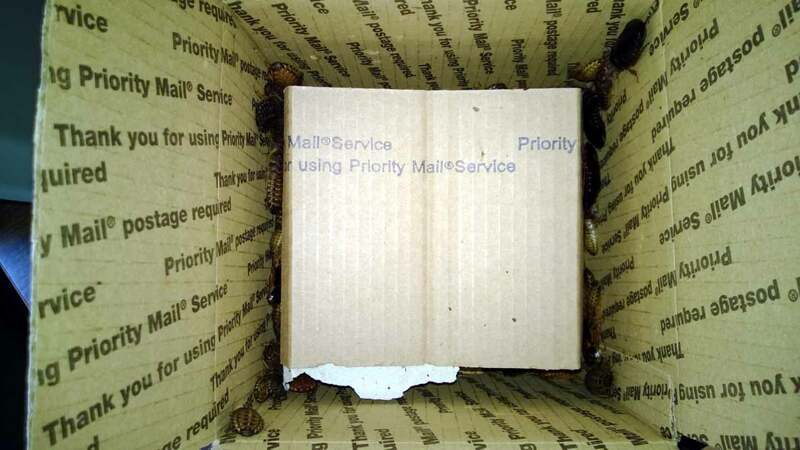 Even better, he guaranteed all larger roaches unless specified that you wanted smaller ones. I jumped at this tremendous bargain and immediately emailed Jeremy. Communication was excellent, as Jeremy emailed me back immediately with payment information. Correspondence was friendly and very professional, which is always a huge plus in my book. He also shipped quickly, and my package was mailed USPS Priority on that Monday and arrived on Wednesday. Box arrived in great shape. 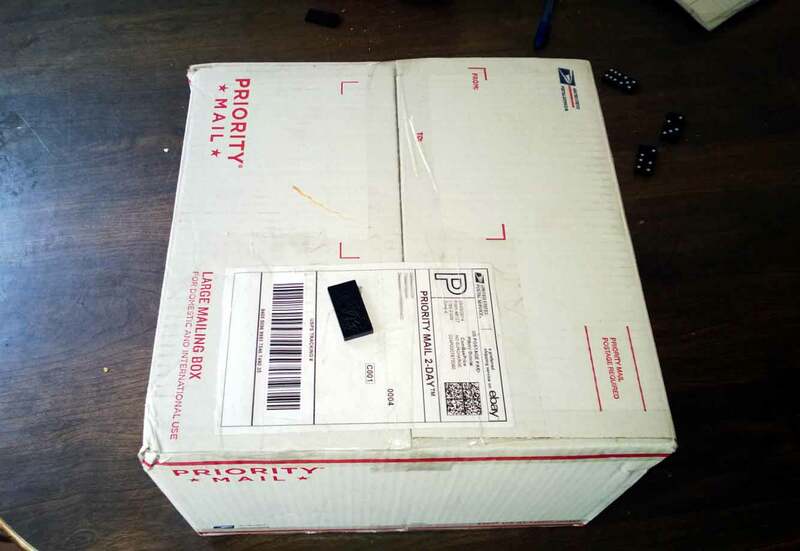 The second box is now open. 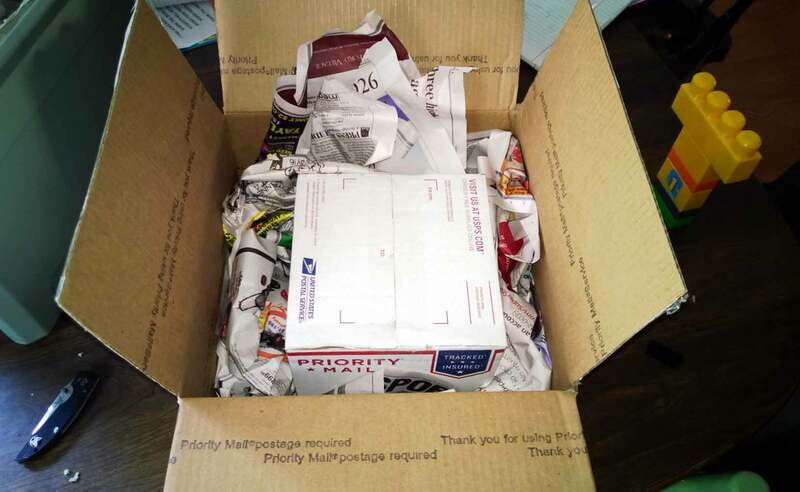 A piece of cardboard serves as a spacer. 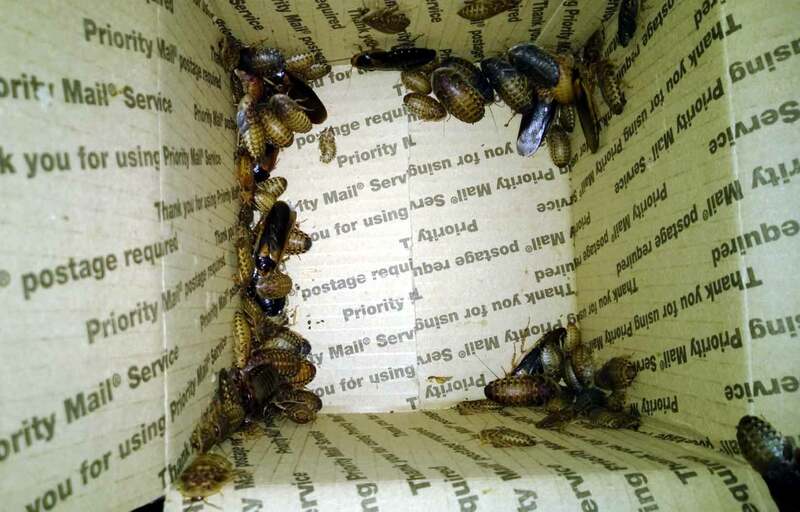 You can now see some of the roaches…yum! With the cardboard moved aside, you can now see more of the little buggers. 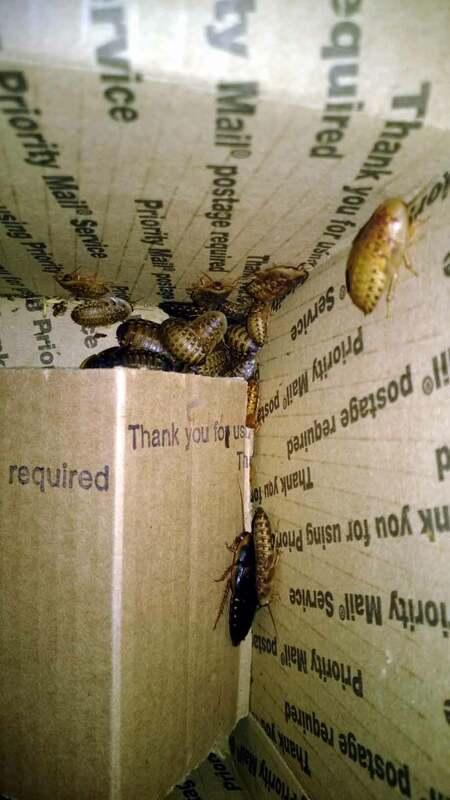 With the cardboard (and some of the roaches) out of the way, you can now see a bunch of very large and healthy roaches. 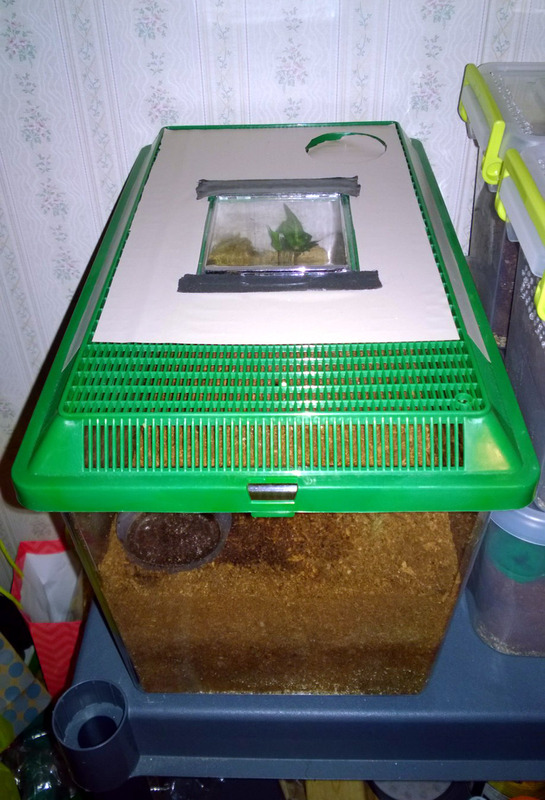 All of the roaches have been rehoused in their new home (I will post later about their new quarters), and all are eating well. I honestly couldn’t have been more happy with my purchase from Mr. Stichler. I wouldn’t hesitate to buy from him again. 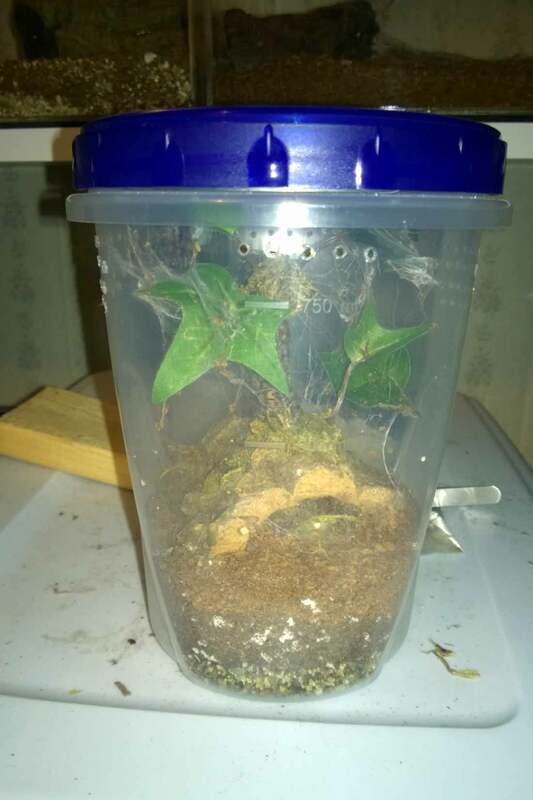 This was an A+ experience, and I would highly recommend Jeremy Stichler to any hobbyist looking for a dubia feeder roach starter colony.